The system processes small fragments of foreign nucleic acid from viruses and incorporates these fragments between spacers in bacterial DNA. The system also refers to these fragments to recognize future infections and expedite the destruction or silencing of viral elements. CRISPR-Cas is now being adapted for human purposes. For example, CRISPR-Cas-based applications are simplifying the genetic editing of eukaryotes, transforming research, biotechnology, and medicine. “Our research efforts have been directed toward developing not only the genome engineering toolbox, but also the transcriptome engineering toolbox,” says Patrick D. Hsu, Ph.D., principal investigator at the Salk Institute for Biological Studies. Targeted genome editing using the CRISPR toolbox, adapted from a naturally occurring immune system in bacteria, involves the introduction of discrete changes to the DNA of various organisms. CRISPR tools can induce double-stranded breaks in DNA, activating natural cellular DNA repair pathways that can be exploited to insert, replace, or delete single nucleotides or large chromosomal regions. In a recent study, while examining the genome of an unculturable gut-resident Ruminococcus bacterial species, Dr. Hsu and colleagues identified a new RNA-guided, RNA-targeting class 2 CRISPR system. As part of this work, investigators in Dr. Hsu’s lab developed a computational pipeline to mine available prokaryotic genomic and metagenomic sequences. Also, based on the minimal requirements of a chromosomal CRISPR locus, these investigators identified signatures of CRISPR-Cas repeat arrays, signatures that pointed to a previously undiscovered CRISPR enzyme family. The investigators called it Type VI-D, or Cas13d. Subsequently, Dr. Hsu’s lab carried out genomic, biochemical, and protein engineering work to develop a promising RNA-targeting tool derived from a CRISPR system found in the gut bacterium Ruminococcus flavefaciens XPD3002. Using an in vitro neuronal model of frontotemporal dementia, investigators in Dr. Hsu’s lab targeted a virally encoded inactive version of this nuclease to pre-mRNA and demonstrated that they could manipulate tau alternative splicing and change the ratio between dysregulated isoforms to mimic healthy cells. The investigators also showed significant improvements in efficiency and specificity in a head-to-head comparison with RNA interference. RNA engineering is at a much earlier stage of development compared to DNA engineering. Some RNA engineering challenges, such as targeting efficiency and specificity, are similar to challenges previously encountered with DNA engineering. “But RNA biology also has very distinct properties,” points out Dr. Hsu. Challenges that are specific to RNA targeting include variability in the secondary structure of RNA, the involvement of RNA-binding protein complexes, and the localization of RNA. “Figuring out how we can control and modulate these processes in an efficient and reliable way is a central challenge for these tools,” emphasizes Dr. Hsu. 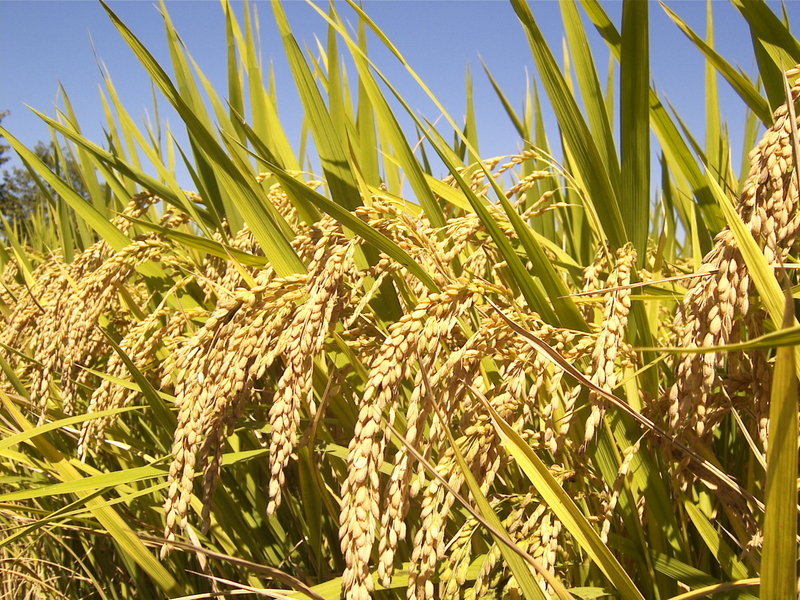 At Iowa State University, a team of scientists led by Bing Yang, Ph.D., has developed a CRISPR-Cas9 genome editing approach that is applicable to rice. This approach has demonstrated efficiency in the introduction of small and local DNA changes as well as large chromosomal-segment deletions. In the Yang lab, CRISPR-Cas9 is being used to edit the family of genes that confers susceptibility to bacterial blight in rice. “CRISPR technology can empower basic research and expedite the application and transformation of research,” says Bing Yang, Ph.D., associate professor of plant biology at Iowa State University. Several years ago, Dr. Yang and colleagues developed a highly efficient gene editing approach based on transcription activator-like effector nucleases (TALENs) to introduce promoter mutations. Dr. Yang’s group used this approach to generate disease-resistant rice. “That was our proof of concept to demonstrate that engineered nuclease gene editing can find good applications in agriculture,” asserts Dr. Yang. 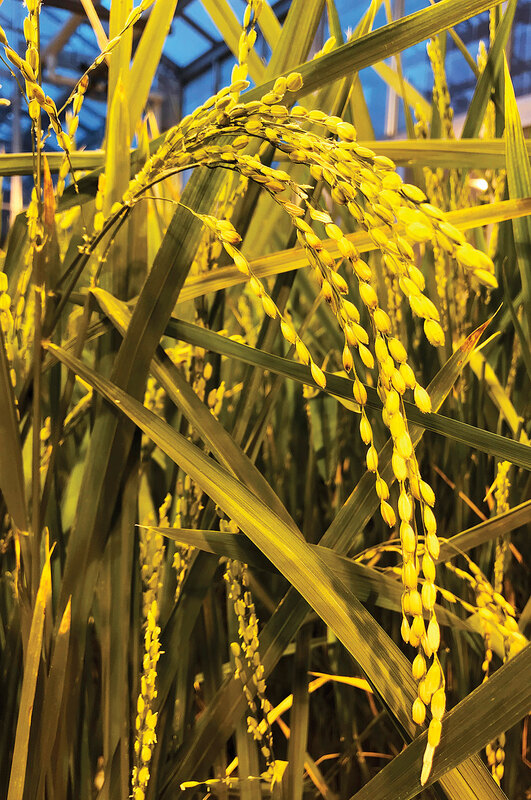 Subsequently, Dr. Yang and colleagues expanded their research into the CRISPR-Cas system, and they showed that this system could introduce large chromosomal deletions, up to 245 kb, in the rice genome. “We then expanded this approach,” notes Dr. Yang, “to establish a highly efficient targeting system in corn.” In a recent study on switchgrass, a perennial plant species in which the high ploidy makes genetic studies difficult, Dr. Yang and colleagues used the CRISPR-Cas9 system to generate targeted mutagenesis and obtained homozygous mutants, which circumvented the need for inbreeding. “Part of our focus involves characterizing naturally occurring enzymes and enhancing their properties using protein engineering,” says Benjamin P. Kleinstiver, Ph.D., instructor of pathology at Harvard Medical School. As a member of the group led by J. Keith Joung, M.D., Ph.D., Dr. Kleinstiver has been working to improve the properties of two CRISPR nucleases, Cas9 and Cpf1 (also known as Cas12a). “One important property to consider is on-target activity,” notes Dr. Kleinstiver. On-target activity refers to a nuclease’s ability to cleave the genome only at an intended genomic site. This activity is subject to tuning. When a CRISPR nuclease is “loaded” with a short RNA guide, it recognizes DNA sequences that are complementary to the guide. The part of the guide that is complementary to the target DNA is known as a protospacer. This recognition process requires the presence of a nucleotide sequence in the target DNA that is known as the protospacer adjacent motif (PAM). The length and composition of the required PAM can vary depending on the CRISPR nuclease. For Streptococcus pyogenes Cas9, the PAM motif is NGG, a sequence that is expected to occur once in every eight base pairs of random DNA sequence. For Staphylococcus aureus Cas9, the preferred PAM is NNGRRT, a more restrictive sequence that is likely to occur once in every 32 base pairs. Relaxing the recognition specificity for certain positions within PAM is one way to circumvent this limitation. In a study that appeared in 2015, Dr. Kleinstiver and colleagues used an unbiased genetic approach to engineer Staphylococcus aureus Cas9 variants to generate nucleases with relaxed PAM recognition sequences. At the time, structural information for Staphylococcus aureus Cas9 was unavailable. “We doubled or even quadrupled the targeting range to make some of these enzymes more useful,” recalls Dr. Kleinstiver. The investigators managed to expand PAM specificity even though they lacked structural information. This feat suggests that the investigators’ approach has potential for a wide range of Cas9 orthologs. Generating nucleases with broader targeting ranges is valuable for research settings but is also attractive for therapeutics. “As we envision translating allele-specific editing approaches where we would like to target only the disease-causing allele, it is important to be able to distinguish small differences from the wild-type allele,” explains Dr. Kleinstiver. In 2016, Dr. Kleinstiver and colleagues showed that the on-target efficiencies of two bacterial Cpf1 nucleases, one from an Acidaminococcus species and one from Lachnospiraceae bacterium, are similar in human cells with activities comparable to Streptococcus pyogenes Cas9. This work also revealed that many positions in the target sequence were highly sensitive to substitutions, indicating that these nucleases could be valuable for allele-specific genomic editing. Whereas Cas9 has been the most frequently used nuclease in genome editing, the more recently discovered Cpf1 offers additional capabilities, such as the targeting of T-rich PAMs and the incorporation of shorter RNAs to guide the nucleases to their targets. In 2017, Dr. Klinestiver worked with Y. Esther Tak, Ph.D., also a member of the Joung lab, and others to fuse a catalytically inactive Cpf1 to a synthetic transcriptional activation domain. The investigators showed that targeting these drug-regulated constructs to several promoters that were epigenetically silenced or expressed at low levels can activate transcription of the respective genes. “We and others have done much work to optimize Cas9 and Cpf1 properties that are relevant for research and clinical applications, increasing the likelihood of achieving an optimal outcome,” concludes Dr. Kleinstiver. “The major challenge for some CRISPR systems, such as Cas10, is that the effectors are multiprotein complexes that are difficult to introduce into cells,” says Luciano A. Marraffini, Ph.D., associate professor and head of the Laboratory of Bacteriology at Rockefeller University. CRISPR-Cas systems have been assigned to two main classes: class 1 includes multiprotein effector complexes, and class 2 includes single-protein effector complexes. Cas9, which is a class 2 effector, is at an advanced stage in terms of biotechnology applications and clinical possibilities. Less widely used is Cas10, which has been challenging to transfer into eukaryotic cells, but it retains interest because of its sophisticated mechanism of nucleic acid targeting. After conducting in vitro and in vivo studies on the Staphylococcus epidermidis type III-A CRISPR-Cas system, which harbors the cas10 nuclease gene, Dr. Marraffini and colleagues showed that CRISPR RNA guides the dual cleavage of the target DNA and of its transcripts by the Cas10-Csm complex, in a reaction that requires transcription across the target. The targeting of DNA and that of RNA are independent events and require different active enzymatic sites within the Cas10-Csm protein complex. Class 2 CRISPR-Cas systems, of which Cas9 is a representative, have a single effector protein and a single RNA-guided nuclease, and are more amenable to experiment. Class 1 CRISPR-Cas systems are more challenging to introduce into eukaryotic cells. “For these complexes to work, one must find a way to have them assemble inside the nucleus,” notes Dr. Marraffini.